Antineo uses Compusyn software (ComboSyn, Inc., USA) to determine synergy or antagonism between anticancer agents, from IC50 data obtained by MTT assays. This software determines the IC50 of two compounds as well as the Combination Index (CI). 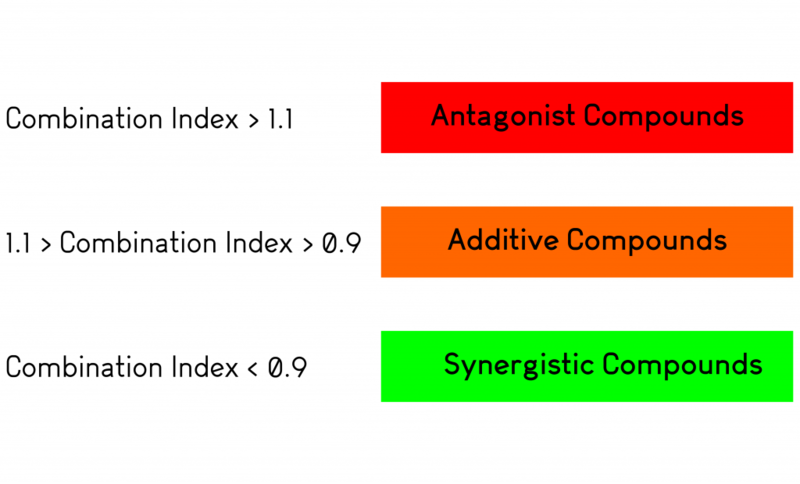 The CI values indicate whether two agents are antagonistic, additive or synergistic in terms of cytotoxic activity.